When float fishing season in Colorado is in full swing, it can be hard to remember how important boat maintenance can be. In order to keep your drift boat, raft and trailer in good working order for many years, it is crucial to stay on top of cleaning and maintenance. A well-cared for raft or drift boat and trailer combination should provide an angler with a reliable float fishing set up for well over ten years or more but abuse and lack of maintenance commonly leads to a shorter lifespan and money that could have been spent on fishing trips is necessary for either expensive repairs or replacing a boat or trailer. For float fishermen, a working trailer may be a more important asset than your boat. Without regular maintenance trailers can be become a nuisance and even result in a traffic ticket. 1. Be sure to regularly grease your wheel hubs. This is a quick job you can do yourself. Buy an affordable grease gun at an auto parts store and use marine grease which protects your hubs when backing into the water. Dealing with a burned out hub on the side of the road will end a fishing trip in a hurry. 2. Check your lights regularly. Trailer lights are notorious for burning out. Keep all connections dry and have an extra light around just in case. 3. Check your wiring harness every time you use the trailer. Your lights may not work because of a bad connection. 4. Travel with a spare tire. Trailer tires take a beating and flats are common on rough dirt roads. 5. Sand and paint your trailer each year. It will last much longer. For anglers with wood decking, replace it before it shows signs of rot and breakage. 6. Keep an eye on your rollers, winch and strap and update as necessary. 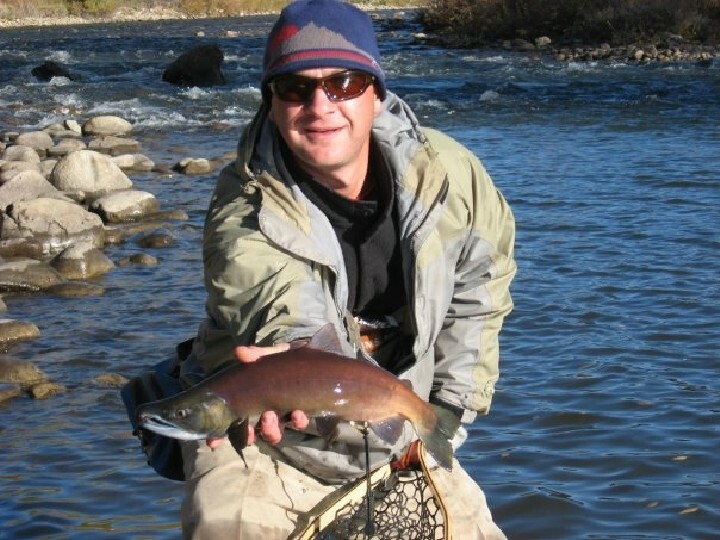 More and more float fishermen are choosing rafts over drift boats these days. They’re more versatile and with the modern fishing frames available, they’re just as comfortable as drift boats. 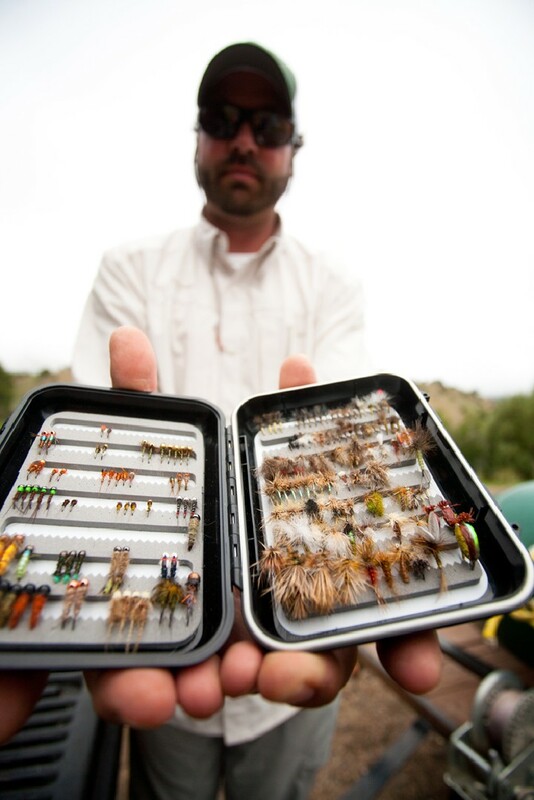 They do however require more maintenance if anglers want them to last many fishing seasons. 1. Sun is the number one enemy that will shorten a raft’s lifespan. Regularly treat your raft with 303 Areospace Protectant. You can find it auto parts stores and most kayak and rafting stores will carry it as well. Think of it as sunscreen for your boat. 2. Thoroughly wash your raft regulary. Sand, dirt, aluminum residue and other grime is like damaging sandpaper to a rubber raft and will destroy the surface of the boat over time. 3. Check your valves and clean them periodically. Seeping valves are often the source of a mysterious leak. 4. Tighten straps and keep all frame connections tight. The less your frame moves around the better. 5. Check all seat swivel bases and bearings frequently. If you don’t, your seat may break at the base and send an angler into the river. 6. Maintain a thorough repair kit. Replace repair glue in your repair kit every year. It dries up and becomes useless which will be a huge problem when you actually need to use it on the river. 7. Properly store your raft in the offseason out of the sun, ice and snow. Keep it well covered or break it down and store in your garage. While metal drift boats require little maintenance, they are extremely heavy and not very popular these days. Wooden drift boat are extremely pretty but can be a maintenance nightmare and are limited to calmer rivers. Most anglers these days choose fiberglass or injection molded plastic drift boats. They are durable and light. But even these boats do require some care in order to maximize the number of seasons they can be used. 1. Wash your drift boat inside and out after each trip. Drift boats collect dirt and grit which will scratch the surface of the boar. Clean that scum line on the outside too unless you want a permanent line of grime on your boat. 2. Keep an eye on the fasteners for storage chambers. These regularly break. 3. Keep an extra set of plugs in your boat. Sinking is not an option. 4. Glue down or screw down any plastic stripping, cup holders, rod tubes etc that are loose. These accessories commonly separate from the hull of drift boats. 5. Repair dings and chips in the chines and outer hull as soon as possible. Otherwise they will continue to grow each time the drift boat scrapes a rock. It is easy to repair these chips with marine epoxy and fiberglass sheets. Just cut the fiberglass screen to size, generously apply epoxy and sand smooth when dry. You may need to flip your drift boat over to do this. Your oars and blades also require some maintentance. Each season sand down your wood or fiberglass oar shafts and spray with several coats of polyurethane. If your oar blades have cracks you can repair them with epoxy and fiberglass. Keep and extra oar right and oar lock in your boat. You’ll need one eventually. 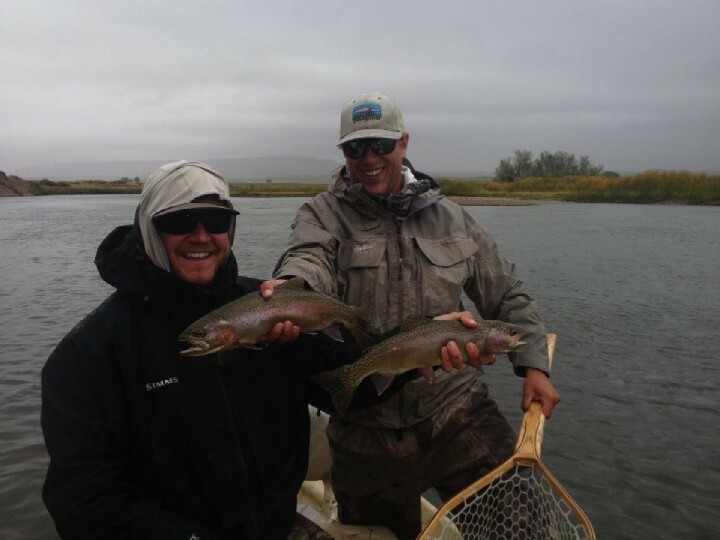 Every year on the Eagle River and Colorado River, I’m impressed by some fly fishing guides who have been using the same boats for nearly twenty years. Guiding boats get worked hard but these guides have kept their boats in perfect shape for two decades. With the proper care and maintenance list above, there’s no reason your float fishing boat shouldn’t last that long as well. 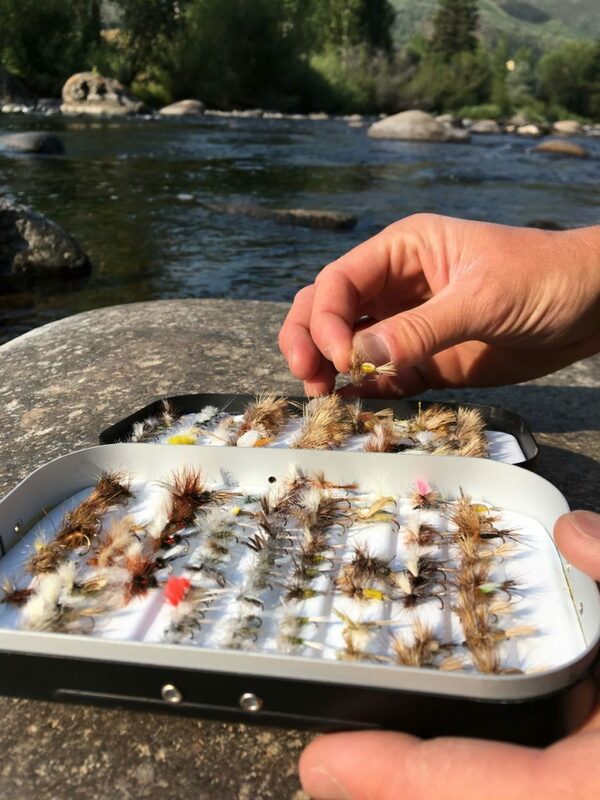 How Do I Choose Which Trout Fly Will Work Best?